Got all that? Good. Let's continue. 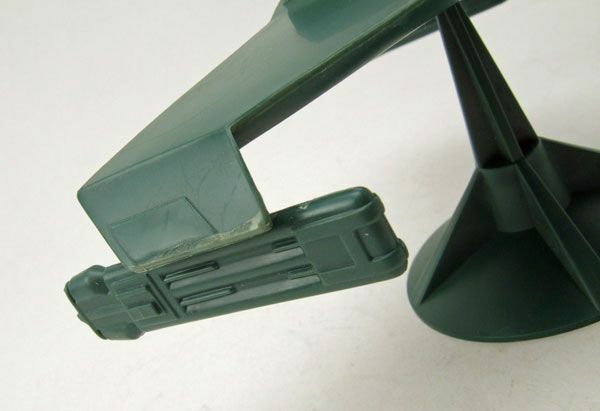 The Rundown: I have a few toy "holy grails" that I have been on the lookout for since I started my Trek collection. The wacky late 60's Remco stuff, prototypes of unproduced items, original Leaf trading cards... rare stuff that hardly ever shows up for sale. 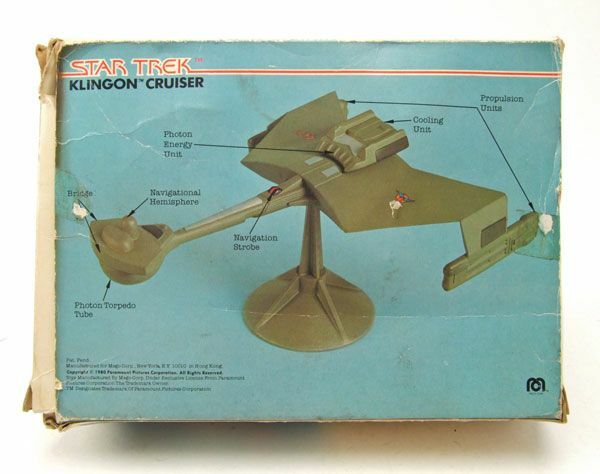 Pretty high on my list of wants have always been the 3 ships Mego made for their "Motion Picture" line: The Enterprise, the Vulcan Shuttle, and the Klingon Cruiser. Well, last week I finally crossed one of those off my list. Behold... 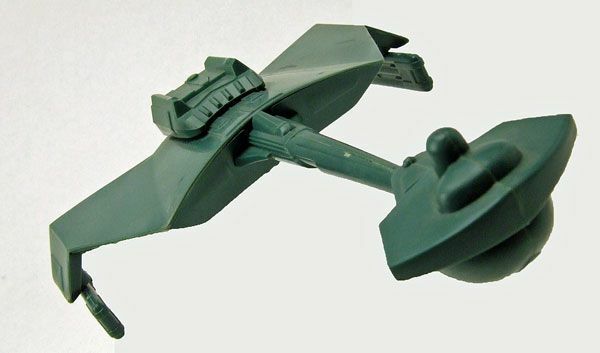 The Mego TMP Klingon Cruiser! 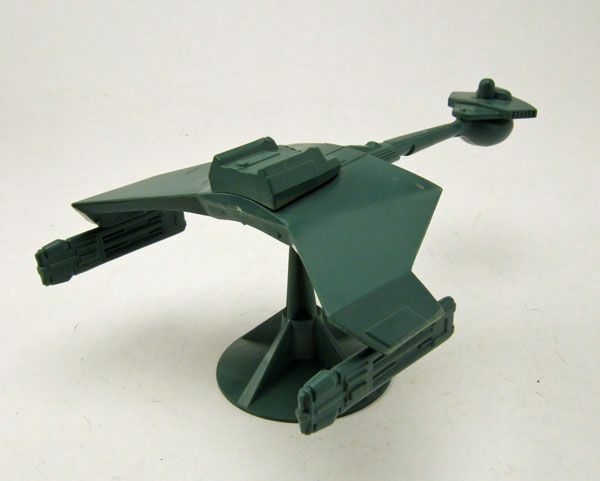 Released toward the tail end of their "Star Trek: The Motion Picture" line, the Mego TMP ships were a departure from the company's norm. Mego usually stuck to action figures, playsets, and vehicles scaled to figures. 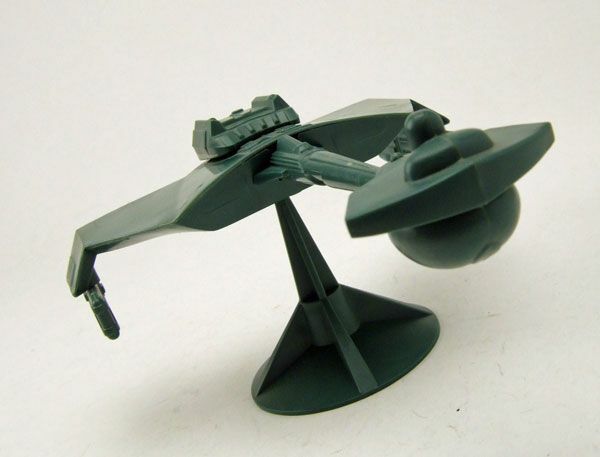 Since it would have been impossible to do ships in scale with the figure line, Mego opted to replicate them as small-scale models. 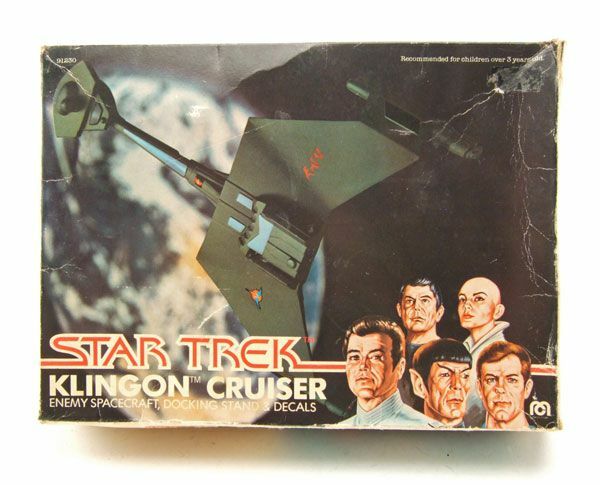 They chose the 3 most visible ships from the film to reproduce, which would of course include the Klingon Cruiser seen in the film's opening sequence. Mego was pretty much the king of producing nice toys at a cheap price. 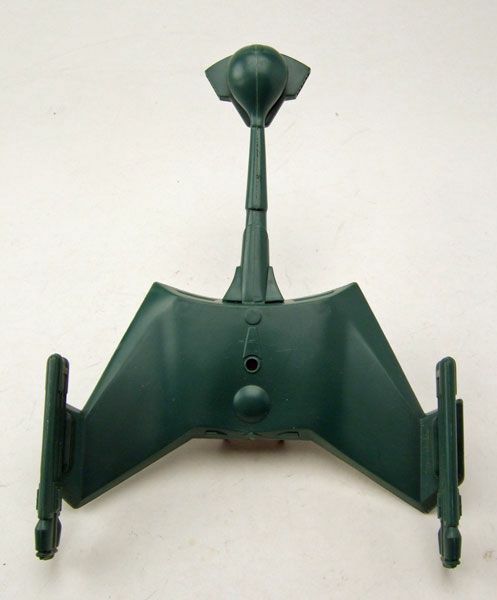 The Mego TMP ships are a great example of their thrifty production methods. 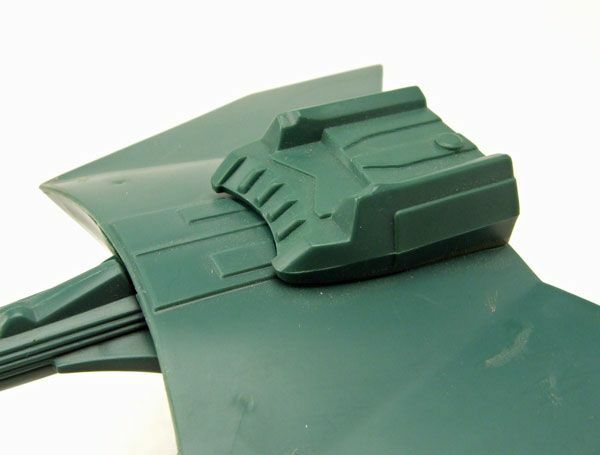 Each ship is molded entirely in one color (a greenish-blue in the case of the Klingon Cruiser), with all the color detailing supplied by an included decal sheet (which mine is unfortunately missing). They're basically pre-assembled model kits that you just put stickers on. 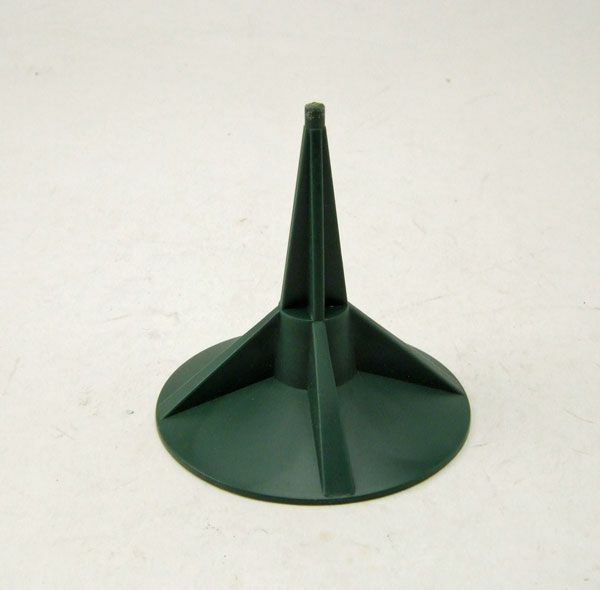 No bells and whistles here... just enough to get the job done. 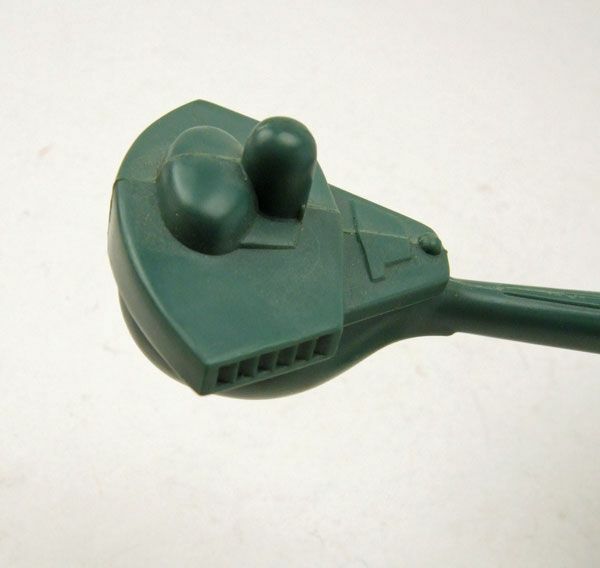 ...and all the way to the "propulsion units", this ship has a lot going for it! The Hallmark and Johnny Lighning ships are both fairly small, so you can see that the Mego stuff isn't large by any means. 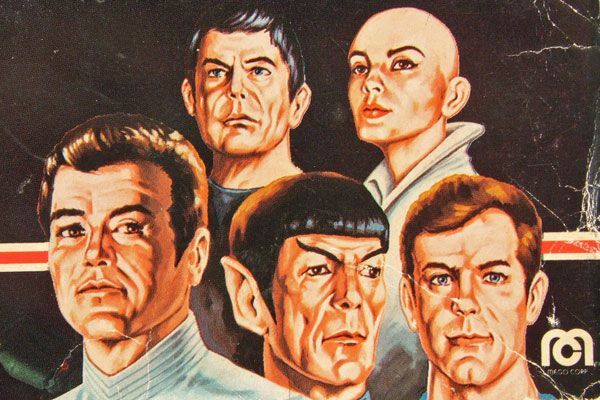 While the 2 smaller guys have a lot more dteial going on, you have to remember that those are produced by today's manufacturing standards, with a keen eye towards authenticity. 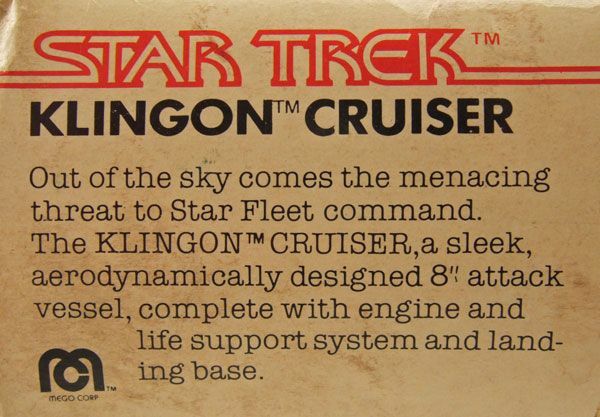 Mego's Klingon Cruiser was produced 30 years ago. For kids. By that token, it's great. 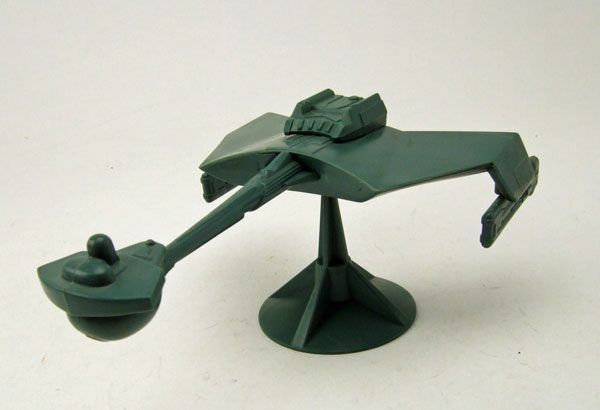 Included with each TMP ship is a "landing base". 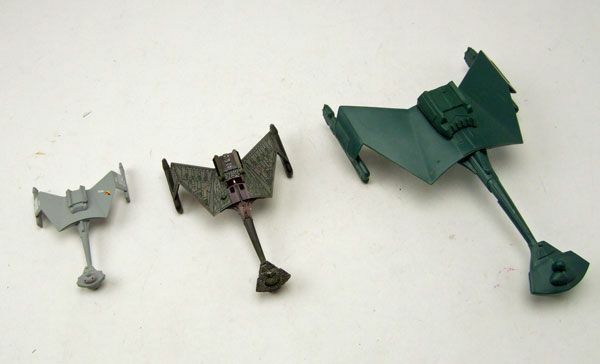 I believe the mold is the same for all three, with each one cast in the same color of plastic used on their respective ship. 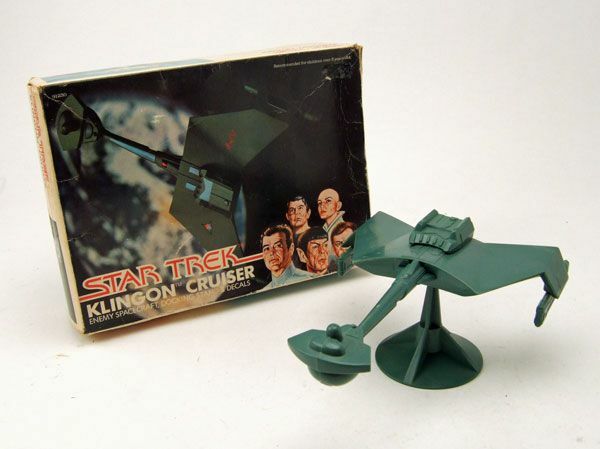 Even though it was probably a cheap addition for Mego to make, it's a very nice add-in for kids that wanted to display their ships when they weren't playing with them. Kids like me. Weird kids. So yeah... if you have a Vulcan Shuttle or an Enterprise for sale, let me know. Because I'm an idiot.